shipstamps.co.uk • View topic - ST TOME ET PRINCIPE 2013 tall ships. 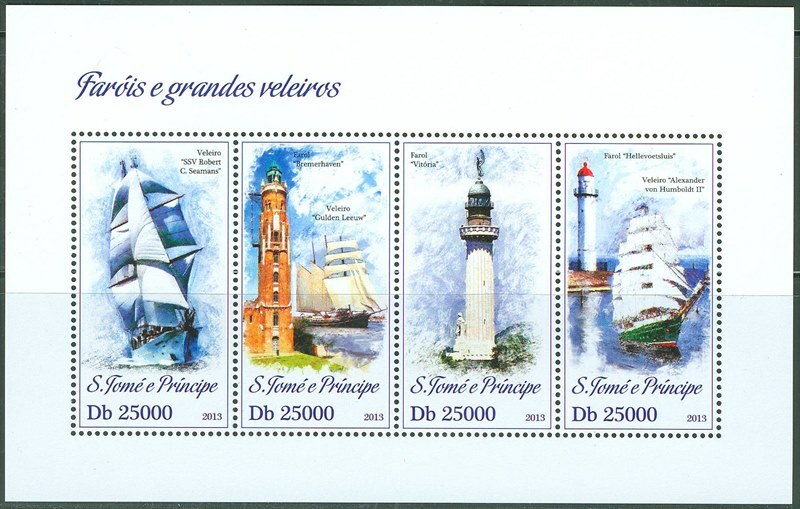 St Tome et Principe issued in 2013 four stamps in a miniature sheet each Db25000 which shows on three stamps tall ships. St Tome et Principe 2013 Db25000 sgMS?, scott?